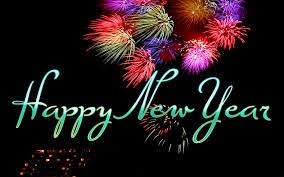 I am wishing you a safe and happy transition into the New Year ! Wishes for Health, Happiness and Prosperity in the coming year. Of course knitting can be one of the challenges you may want to look at (this wouldn't be a knitting blog, if I didn't needle you on with this). Whatever you end up doing in the new year, don't forget that life is supposed to be enJOYable, so put aside your worries some times during each day and have FUN. May the spirit of the Season live on in your hearts throughout the coming year. Which better way to show you care, than giving a handcrafted gift. comment: "look at your lovely present"
Comment: "It's beautiful!!!! Thank you!" comment: "WOW, you made these?!" comment: "Wow, these fit much better than store bought!" Here is a link to the Churchmouse Basic Sock Pattern: http://www.ravelry.com/patterns/library/basic-sock-3 This is a great pattern for the beginner sock knitter and is written for two different weight yarns. You can also purchase a hard copy of the pattern at The Knitting Garage in Rhinebeck. I finished the toe on one sock, just have to do the other one and kitchener stitch. I found a nice pattern for angel tree ornaments which knit up quite quickly. I made a few already and am working on more. I finished the Downton Hat by Annie Cholewa in the Manos Silk and Trendsetter La Furla. It came out really nice and turned out to be a super-easy and quick knit. Remember, the pattern goes from Baby to Adult 2 and is free on ravelry (just click on the link above). Next time you come to the Knitting Garage, check the yarn out for yourself. You may also want to check out our new ball winder which makes it even easier for us to wind the skeins of yarn into neat balls; a service we provide for free for any yarns you purchase at The Knitting Garage. Dale who took my Market Bag class last summer, just finished the last bag for this season's gift giving. Aren't they absolutely beautiful?! Lucky recipients! see the keywords"cowl" and "brioche"?! I added "after" to the name of these, because I am a strong advocate of wearing helmets when skiing! Using the rule of thumb calculations from the Churchmouse Basic socks pattern, I knitted the feet to a length of 8.5 inches and am now ready to shape the toes. No, this is not knitted, but I still used a needle; a sewing needle! (and beads and Swarovski Crystals). Just a fun thing to share with you. I am starting off with a bit of sad news: Two of our store samples are missing.... If you know of their whereabouts, please help them find their way back home (no questions asked). Don't YOU want to make one of these ? Next on my list of what to knit with for the store are two wonderful yarns. I am knitting with the Manos Silk, a DK weight yarn and the Trendsetter La Furla. I found a hat pattern which will use both yarn. The Manos for the main body of the hat and the La Furla for the rim. The nice thing with this pattern is, too, that it is written in many sizes from "Baby" to "Adult 2". I am knitting it up in size "Adult 1". This promises to be a gorgeous hat! I have just a few more rows of ribbing to do and then I will start the rim in the lovely soft Furla. The pattern is free on ravelry and as you can see a relatively quick knit. Over the last two weeks I have finished several gifts (remember, I didn't "report" on my knitting last week, but instead wished everyone a Happy Thanksgiving). I blocked these to bring out the lace more, but also to even them out in size as I had knitted the first one a little tighter than the second one. Now they feel equal on my hands and the person getting them will be none the wiser. I added 6 extra stitches (54 sts total) and used a very stretchy cast-on: the most elastic cast-on. This seems to be a variation on Jenny’s stretchy cast-on. Keeping the inside of the pattern as the outside I did k2, p1 for the first 8 rows, then P2, K1 for the main body of the hat. every other row. Then in pattern. I did a total of 12 YO row repeats for a slouchy look (total of 27 rows after the 8 rows of P2, K1). In Row 9 I did k2tog across the row. I had 9 sts left and pulled the yarn through the stitches to close the hat. I don't have quite enough yarn left for a pompom, but went through my stash and found enough yarn which will go with the colors of the hat. For one reason or other I have not been able to meet with my two sock knitting students and decided to forge on with this pair as I want it to be done in another three weeks. I can always start another pair for class. By the way I am planning on offering another sock knitting class in January; this time toe-up on magic loop!